Endgrain: Diffuse-porous; solitary and radial multiples; large pores in no specific arrangement, few; parenchyma vasicentric; narrow rays, spacing normal. Allergies/Toxicity: There have been no adverse health effects associated with Mangium. See the articles Wood Allergies and Toxicity and Wood Dust Safety for more information. Acacia confusa(Asian walnut) is a perennial tree native to South-East Asia. Some common names for it are Acacia Petit Feuille, Small Philippine Acacia, Formosa Acacia (Taiwan Acacia) and Formosan Koa. It grows to a height of 15 m. The tree has become very common in many tropical Pacific areas, including Hawaii, where the species is considered invasive. Its uses include chemical products, environmental management and food and drink. The bark may be ground into a powder and saturated into water to create a tea, or may be spread onto various foods as a spice and taste enhancer. 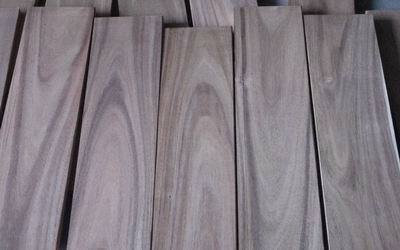 The wood has a density of about 0.75 g/cm3. In Taiwan, its wood is used to make support beams for underground mines. The wood is also converted to charcoal for family use. The plant is used in traditional medicine and is available from herbal medicine shops in Taiwan, but there has been no clinical study to support its effectiveness. 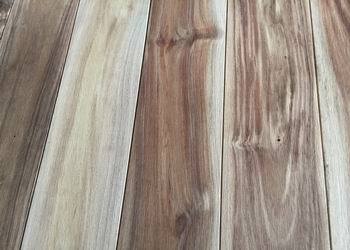 It is also frequently used as a durable flooring material. SCIENTIFIC NAME Acacia Mangium Acacia Confusa.